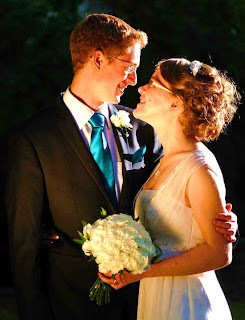 Congratulations to Claire and Simon Lister who got married at the weekend. 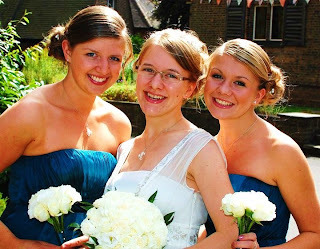 The wedding was beautiful and the bride looked stunning as you can see in the pics! 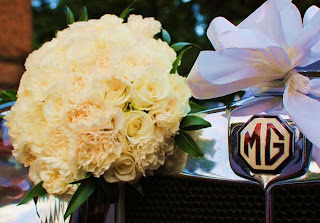 The flowers used were akito roses, delphi dianthus, and ivory lisianthus with a skirt of soft ruscus. 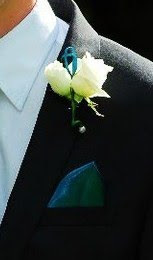 The button holes were akito roses with lisianthus along with teal ribbon curls and pearl pins. Lovely!